You have no doubt been in a situation where you’ve had to slam on your brakes, thankful that they work so well. Applying your vehicle's brakes is an example of stopping kinetic energy, which is present when your car is moving. Most automobiles today have anti-lock brakes. The ABS, or anti-lock braking system, is a four-wheel system that modulates braking pressure automatically during a quick stop. When the brakes are engaged, fluid is forced through a set of valves from a master cylinder, causing pressure that is transmitted to the hydraulic control units at each wheel. 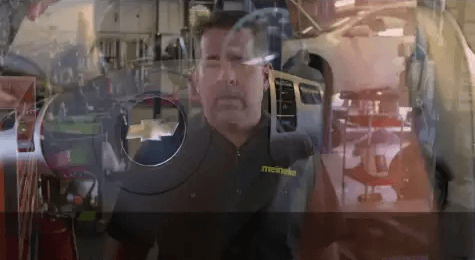 You can learn more about ABS from the pros at Meineke #468 in Brooklyn, NY. Brakes are the most important safety feature on your car. While people sometimes procrastinate on repairs, a problem with your brakes means that you should stop driving your car and get it checked right away. A crucial part of keeping your brakes in good working order is using the right brake fluid and replacing it on time. There are several types of fluid, including silicone brake fluid and mineral brake fluid. Failing to replace brake fluid on time can cause it to absorb a high percentage of water and compromise your brakes’ function. 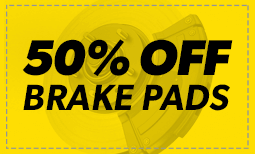 To get an estimate of brake fluid cost for your car, speak with technicians at Meineke #468 in Brooklyn, NY. Some people think that the funny little sound their brakes are beginning to make can be eliminated with a simple fix. They begin looking around, wondering where to buy brake fluid and spend some time considering options, such as silicone brake fluid versus mineral brake fluid as well as overall brake fluid cost. Meanwhile, the funny sound turns into an annoying screech and the smart driver will realize it’s time to take the car to Meineke #468 in Brooklyn, NY, for an inspection. Sometimes a mechanical issue with your car pops up without warning, catching you completely off guard. With brakes, however, you often get a signal that trouble might be brewing. Have it checked out promptly by taking your car to Meineke #468 in Brooklyn, NY. If you ignore the problem, you may soon face serious issues with your car and more expenses when the problems that develop must be fixed. Even more important are the safety risks when you wait too long to have faulty brakes repaired. The cost to repair or replace an anti-brake system, or ABS, can sometimes be concerning. The first thing to do is to bring your vehicle to the specialists at Meineke #468 in Brooklyn, NY. You may only need new brake fluid or just a minor part. It might be that new brake pads are needed. Of course, there could be issues with other brake system components. Our professionals can resolve the problem and see that you’re back on the road safely with a solution that is as cost-effective as possible. Anti-lock brakes need professional service and repairs to maintain the components that must work together efficiently. We have mineral brake fluid and silicone brake fluid to keep your system operating in peak condition. Before you come down to Meineke #468 at Brooklyn, NY, stop by the coupon section of our website for great deals designed to help you save money on car repairs. We can also install new anti-lock brakes on older cars to keep you safe under any type of driving conditions. ABS technology is a great addition to any vehicle because it is proven to be effective in reducing accidents on the road.